avec la fleur: when in doubt, go with a numbered list. Why THE HELL does that God awful picture of me continue to turn up! Also, 7 is funny! Congratulations on making me chuckle. yay! you think i'm funny! and sorry about the picture. i think it's cute though. 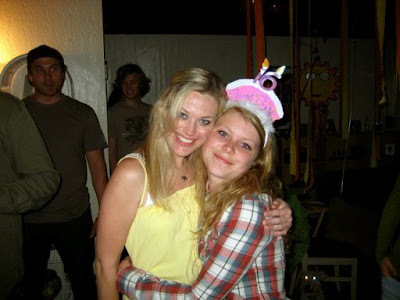 just focus on john in the background making that lame face and your cool sun pinata! Beautiful box with paper sheets, envelopes and postcards. I'm moving to Norway on Tuesday, of course nothing's ready yet as I spend most my days reading for the exam I'm taking there on Thursday. I love travelling but hate packing. So I keep postponing it... Typical. I can't wait to settle down. I have a problem with eating way too many dark chocolate covered almonds. Every time I go to this one store, I have to buy a little bag from the bulk food section. It's my treat for actually going to the grocery store.